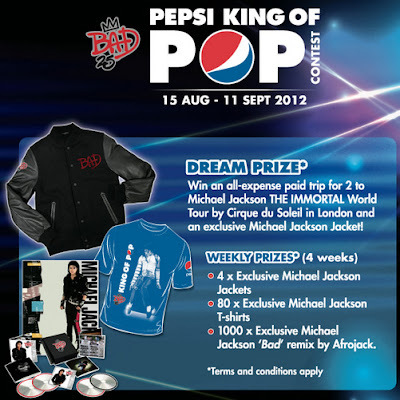 Dream Prize: All-expense paid tickets for 2 to the Michael Jackson The Immortal World Tour by Cirque du Soleil in London and a Michael Jackson Jacket! Submit a photo of yourself holding a can or bottle of Pepsi dancing like Michael Jackson. Share your photo with your friends and get them to vote for you. Visit Pepsi Facebook fan page for more details. Any plans for the Holidays? How about Singapore?